Yamaha developed the YAS-82Z Custom Z Series Alto Saxophone to be a sax capable of performing both classical and jazz music. The resulting YAS-82Z Custom alto saxophone will knock jazz sax players out with its projection and sweet tone. Classical saxophonists will appreciate the control the alto Yamaha YAS-82Z sax gives them over their tone from pianissimo to fortissimo. 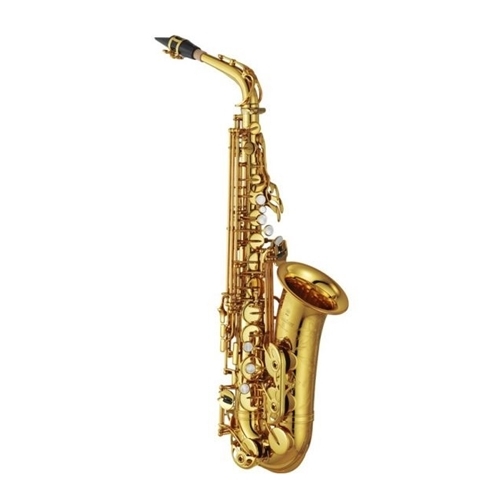 The Yamaha YAS-82Z incorporates several features found on famous Yamaha saxophones of the past as well as offering many improvements on models such as the popular Yamaha YAS-62 saxophone. Yamaha engineers also maintained their consistently high build quality and the free-blowing nature that characterizes Yahama saxophones. Yamaha’s YAS-82Z captures the sound of popular vintage saxophones of the past, but adds the comfort of modern mechanisms and playability. The Yamaha Custom Z’s body is made from a special brass alloy for a lighter weight saxophone and tonal flexibility only dreamt of until now. The saxophone’s Custom G1 neck helps produce a quick and agile response, while key action and placement feel just right.